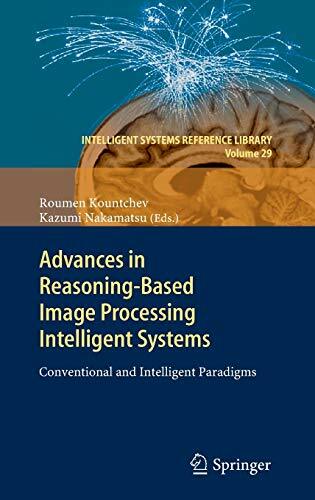 [PDF] Advances in Reasoning-Based Image Processing Intelligent Systems: Conventional and Intelligent Paradigms (Intelligent Systems Reference Library) | Free eBooks Download - EBOOKEE! Description: The book puts special stress on the contemporary techniques for reasoning-based image processing and analysis: learning based image representation and advanced video coding intelligent image processing and analysis in medical vision systems similarity learning models for image reconstruction visual perception for mobile robot motion control, simulation of human brain activity in the analysis of video sequences shape-based invariant features extraction essential of paraconsistent neural networks, creativity and intelligent representation in computational systems. No comments for "[PDF] Advances in Reasoning-Based Image Processing Intelligent Systems: Conventional and Intelligent Paradigms (Intelligent Systems Reference Library)".